The Fairmont Southampton has continued its partnership with Family Centre, with contributions in 2015 totaling more than $20,000. From colleague fundraising efforts to a Fairmont CARES grant, the year culminated with a donation of $10,000 at Fairmont’s Christmas Trees of Hope Fundraiser on November 25. 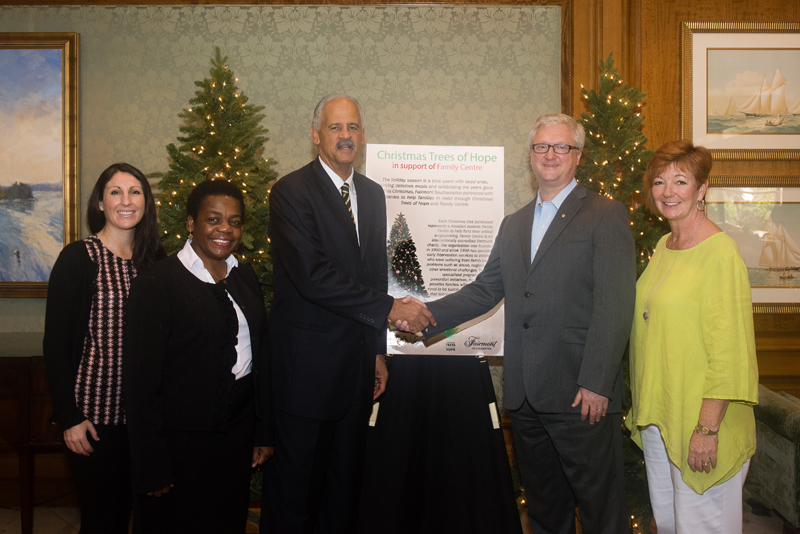 Christmas Trees of Hope is a holiday season charitable initiative in place at all Fairmont hotels in the Americas Region. “We are delighted to partner with Family Centre and support all the good work they do for children and families in our community,” said Shelley Meszoly, Regional Director of Sales and Marketing. A spokesperson said, “Throughout 2015, in addition to Christmas Trees of Hope, Fairmont Southampton has supported the efforts of Family Centre in a number of ways. 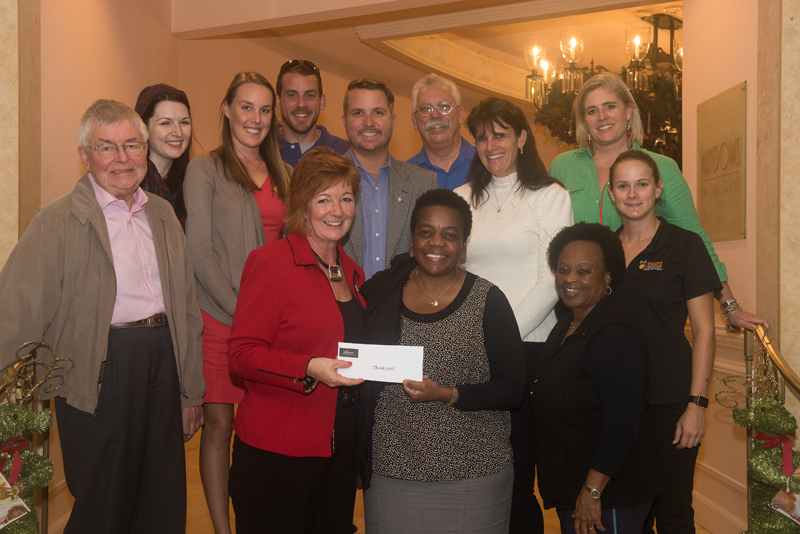 “The hotel secured two Fairmont CARES grants from FRHI Hotels & Resorts, which helps support programs and initiatives in the communities where its hotels operate. “One grant of $5,000 was awarded to Family Centre and another $5,000 grant was awarded to Beyond Rugby, one of the outreach programs administered by Family Centre. Fairmont Southampton also supported Family Centre’s annual Beach Bash by donating the space for the event and recently hosted Beyond Rugby’s end of the year celebration at Bacci. “We are delighted with the support we have received throughout the year from Fairmont Southampton,” said Martha Dismont, Executive Director of Family Centre. “It is a pleasure to be in Bermuda on such a beautiful island and to lend my support to the work of Family Centre,” said Stedman Graham, philanthropist and Family Centre supporter. “I want to congratulate Fairmont Southampton for their support of Family Centre and Bermuda’s families through their Christmas Trees of Hope campaign.